Don’t Buy It (2012) explores the ways language influences our understanding of complex issues. 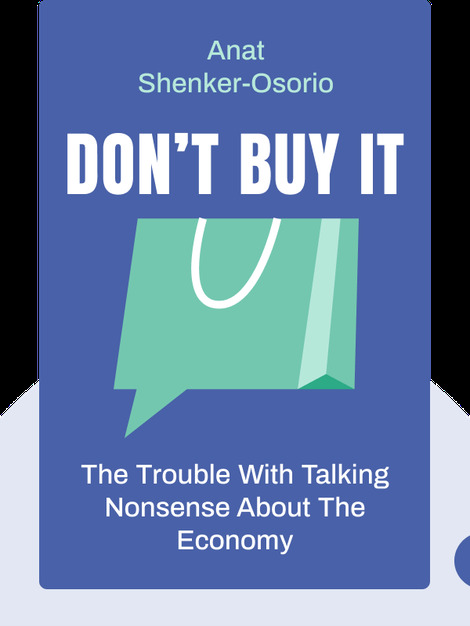 Anat Shenker-Osorio brings her research and expertise to bear on a question that plagues progressives: why do conservatives always win economic debates in the United States, despite the deep inequality and structural injustice epitomized by the financial crash and the Great Recession? These blinks answer this question by analyzing the language employed on either side of the political spectrum. 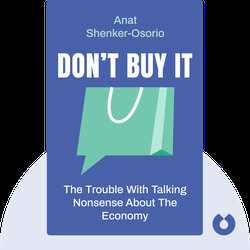 Anat Shenker-Osorio is a strategic communications expert, researcher and pundit specializing in public affairs and social issues in the United States. Her past clients have included the Ford Foundation, the Roosevelt Institute, the Congressional Progressive Caucus and the Ms. Foundation.